Jeb Bush is a presidential candidate. But Jeb is not only the brother of George W. and the son of George H. W. Bush. Jeb Bush also had close personal ties to Raul Salinas de Gortiari, brother of Mexico’s former president Carlos Salinas de Gortiari. In the 1990s, Raul the “drug kingpin”, according to Switzerland’s federal prosecutor Carla del Ponte, was one of the main figures of the Mexican Drug Cartel. “There has also been a great deal of speculation in Mexico about the exact nature of Raul Salinas’ close friendship with former President George Bush’s son, Jeb. It is well known here that for many years the two families spent vacations together — the Salinases at Jeb Bush’s home in Miami, the Bushes at Raul’s ranch, Las Mendocinas, under the volcano in Puebla. “… Mr. Salinas Lozano was a leading figure in narcotics dealings that also involved his son, Raul Salinas de Gortiari, his son-in-law, Jose Francisco Ruiz Massieu, the No. 2 official in the governing Institutional Revolutionary Party, or PRI, and other leading politicians, according to the documents. Mr. Ruiz Massieu was assassinated in 1994.” (Dallas Morning News, 26 February 1997, emphasis added). Former president George H. W. Bush and Raul Salinas Lozano were “intimo amigos”. According to former DEA official Michael Levine, the Mexican drug Cartel was a “family affair”. Both Carlos and Raul were prominent members of the Cartel. And this was known to then US Attorney General Edward Meese in 1987 one year prior to Carlos Salinas’ inauguration as the country’s president. When Carlos Salinas was inaugurated as President, the entire Mexican State apparatus became criminalised with key government positions occupied by members of the Cartel. The Minister of Commerce in charge of trade negotiations leading up to the signing of NAFTA was Raul Salinas Lozano, father of Raul Junior the Drug kingpin and of Carlos the president. And it is precisely during this period that the Salinas government launched a sweeping privatisation program under advice from the IMF. The privatisation program subsequently evolved into a multibillion dollar money laundering operation. Narco-dollars were channelled towards the acquisition of State property and public utilities. “billions of dollars in state assets have gone to supporters and cronies” (Dallas Morning News, 11 August 1994). These included the sale of Telefonos de Mexico, valued at $ 3.9 billion and purchased by a Salinas crony for $ 400 million.(Ibid). Raul Salinas was behind the privatisation programme. He was known as ”El Señor 10 por Ciento” [Mr. 10 Percent] “for the slice of bid money he allegedly demanded in exchange for helping acquaintances acquire companies, concessions and contracts [under the IMF sponsored privatisation program”(The News, InfoLatina, .Mexico, October 10, 1997). In a bitter irony, it was only after this historical event, that Carlos Salinas’ family links to the drug trade through his brother Raul were revealed. “Other former officials say they were pressured to keep mum because Washington was obsessed with approving NAFTA”. In other words, at the time the NAFTA Agreement was signed, both Bush Senior and Mulroney were aware that one of the signatories of NAFTA, namely president Salinas de Gortiari had links to the Mexican Drug Cartel. Salinas, who left Mexico in March 1995 after his brother, Raul, was charged with masterminding the murder of a political opponent, has served on the company’s board for two years. He was questioned last year in Dublin by a Mexican prosecutor investigating the murder in March 1994 of Luis Donaldo Colosio, who wanted to succeed Salinas as president. A Dow Jones spokesman last week denied that Salinas had been forced out of an election for the new board, which will take place at the company’s annual meeting on April 16… Salinas, who negotiated Mexico’s entry into the free trade agreement with the United States and Canada, was appointed to the board because of his international experience. He was unavailable for comment at his Dublin home last week.” (Sunday Times, London, 30 March 1997). Washington has consistently denied Carlos Salinas involvement. “it was his brother Raul”, Carlos Salinas “did not know”, the American media continued to uphold Salinas as a model statesman, architect of free trade in the Americas and a friend of the Bush family. With the scandal unraveling, Jeb’s friendship with Raúl did not go unnoticed. 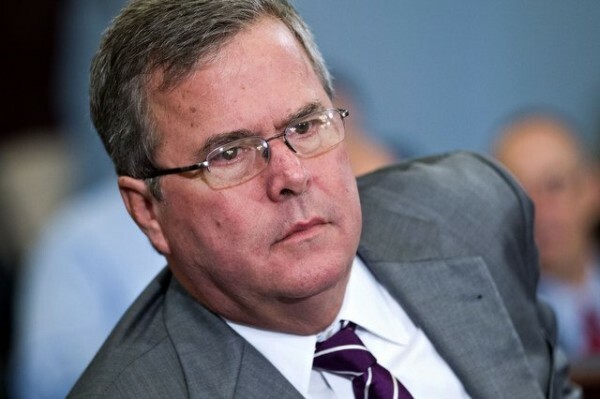 Jeb has never denied his friendship with Raúl, who [now] keeps a low profile in Mexico. “The Salinas family’s demise caught the Bushes by surprise”? (Forbes, April 2015) The Bushes knew who they were all along. Former DEA official Michael Levine confirmed that Carlos Salinas role in the Mexican drug cartel was known to US officials. US President George H. W. Bush was regularly briefed by officials from the Department of Justice, the CIA and the DEA. Did Jeb Bush –who is now a candidate for the White House under a Republican ticket– know about Raul’s links to the Drug Cartel?. Was the Bush family in any way complicit? These are issues which must be addressed and debated by the American public across the land prior to the 2016 presidential primary elections. A U.S. official said the Justice Department has made significant advances in its money-laundering investigation against Raul Salinas de Gortari and has identified several people who can testify that the former first brother received protection money from a major narcotics cartel. 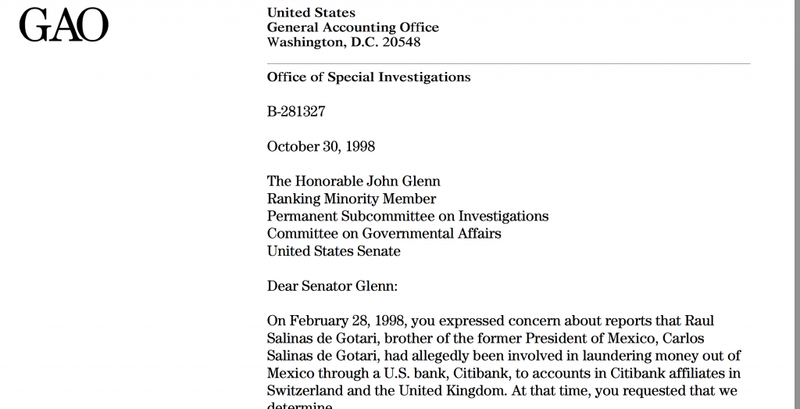 The involvement of Citbank in the money laundering operation is documented a Senate Committee on Governmental Affairs Report (US General Accounting Office “Private Banking: Raul Salinas, Citibank, and Alleged Money Laundering” Washington, 1998). 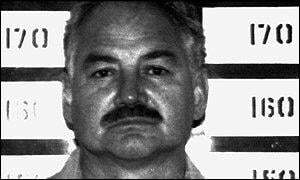 Raul Salinas de Gortiari was set free in 2005. All charges were dropped. The matter involving the Bushes and the Salinas has largely been forgotten. Not to mention the 1992 “Free Trade” Agreement (NAFTA), which was signed by a head of State with links to organized crime. Does that make it an illegal agreement? The legitimacy of NAFTA has so far not been the object of a legal procedure of judicial inquiry. An “illegal NAFTA” sets the stage for the TPP and TTIP “agreements” negotiated behind closed doors. All is well in the American Republic. At least until the forthcoming 2016 presidential elections. PreviousObama’s Ed. Secretary: We Need Gov’t Boarding Schools; ‘Certain Kids We Should Have 24/7?